Cornwall Works has been replaced but still forms aspects of our work. We have moved under the one banner of Inclusion Cornwall. Cornwall Works was established to co-ordinate the wide range of activity taking place in Cornwall and the Isles of Scilly to reduce worklessness and raise employment rates. It has brought together local projects, programmes and public services to establish a new way of partnership working. This includes trialling new services and new ways of delivering them, encouraging changes in organisational behaviour where this is a barrier to helping people. The aim of the strategy is to help more people to start work, stay in work and progress in work; helping them achieve their full employment potential. Part of this work continues through Inclusion Cornwall. 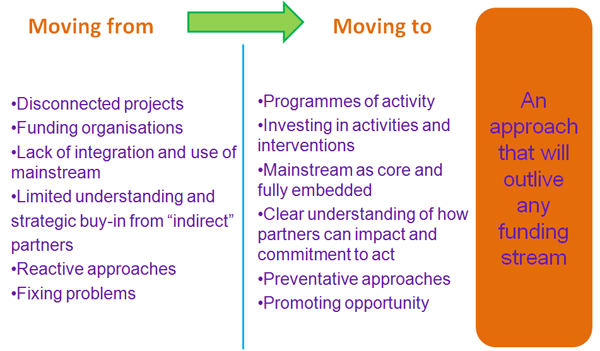 The strategy is focused on achieving positive outcomes – for individuals, for communities, and for the economy of Cornwall and the Isles of Scilly. Read the published ‘Disability Confident’ report, written by Cornwall Works’ Ellie Moseley here. The report discusses and outlines existing support available for disabled people getting back into the workplace as well as providing advice and a practical toolkit. The key players in Cornwall Works are the public, private and voluntary and community sectors of Cornwall and the Isles of Scilly – with the strategic lead being provided by Jobcentre Plus, who champion its use in both guiding mainstream and European welfare to work investment. CWH was established to act as the ‘doing’ part of the Cornwall Works Strategy; linking and coordinating welfare to work provision in Cornwall. Existing to aid individuals and the organisations that support them to access the right help at the right time to ‘find work, stay in work and progress in work’. The barriers that hold people back are many and varied which is why sitting within Inclusion Cornwall makes sense; allowing us to utilise wider networks and partnerships. 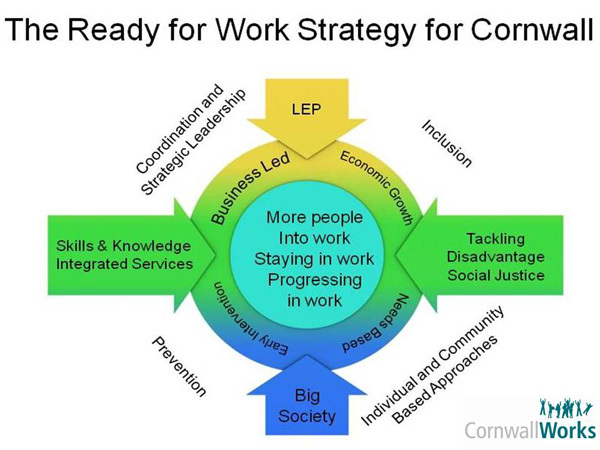 The Cornwall Works Hub team offers advice and on how and where to access support services, we feed key successes and issues up through Inclusion Cornwall to strategic groups, we capacity build through multi agency training and we adapt our priorities to address gaps as the need arises. Funding streams come and go but Cornwall Works Hub offers a consistent place to access up to date information. It is this consistency combined with our wide range of partnerships and flexibility of approach that ensures we continue to be relevant and successful.